In today’s match of VIVO Indian Premier League (IPL 2019), R Ashwin’s Kings XI Punjab (KXIP) will lock horns with Sunrisers Hyderabad (SRH) at PCA IS Bindra Stadium in Mohali. KXIP has had a mixed journey so far in IPL 2019, winning three games and losing two. 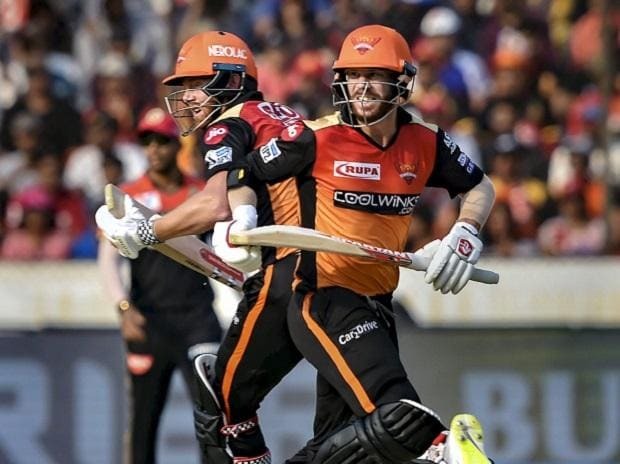 SRH lost their first IPL 2019 match against Kolkata Knight Riders, but then won three matches in a row before Mumbai Indians pacer Alzarri Jospeh halted them in their own home ground in Match 19. SRH’s brittle middle order was exposed against Mumbai Indians, when Jonny Bairstow and David Warner went back to pavilion early. It’s time for Manish Pandey and Deepak Hooda to step up in absence of Kane Williamson. For KXIP, it is a combination of failure in the pace bowling department as well as the lack of form of the middle-order that needs to be worked on and quickly. In head to head comparison, SRH have an advantage as they won nine out of 12 matches while KXIP won only three. KXIP vs SRH match will start at 8:00 pm IST. The match will be available live on Star Sports 1 HD, Star Sports 1 in English Commentary and Star Sports Hindi HD, in Hindi Commentary. One can also live stream KXIP vs SRH 2019 IPL match on Hotstar app and website.